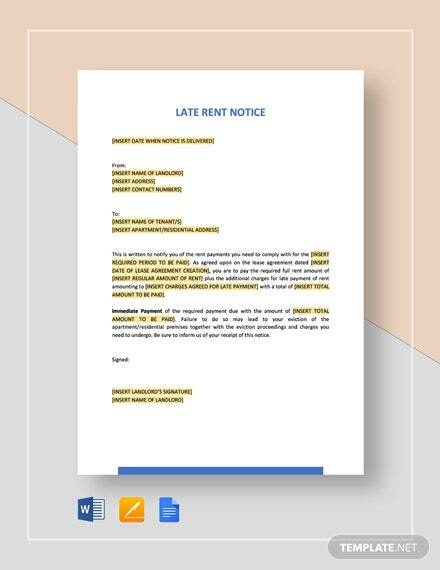 Here are some late rent notice templates we have compiled for you that you can download for free. 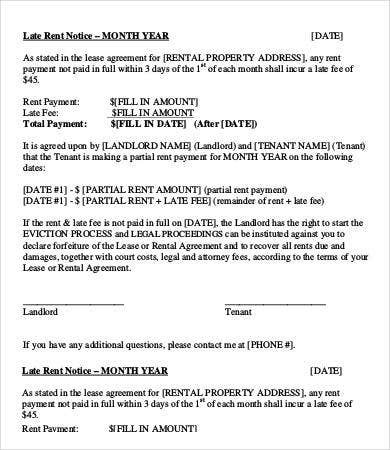 These late rent notices are fully editable, so you can tweak some information to accommodate the terms you have in mind. Although you are within your rights to demand for the financial duties owed to you, it is still best to maintain an attitude of decency and civility when asking for it. 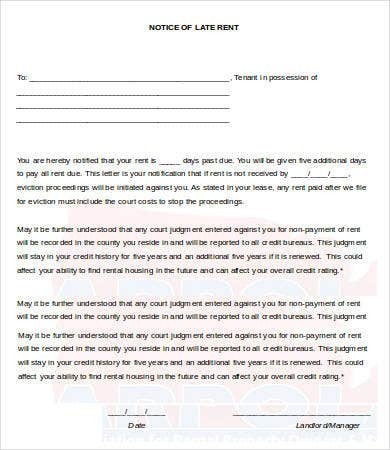 Letters are the most formal and proprietous means to remind your tenant that he is overdue. 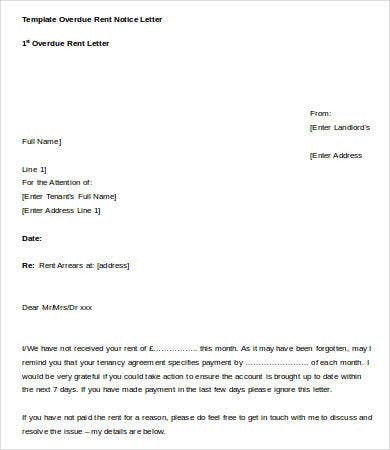 If you have no idea how to write such a letter, we have included in this list a sample late rent notice letter templates. 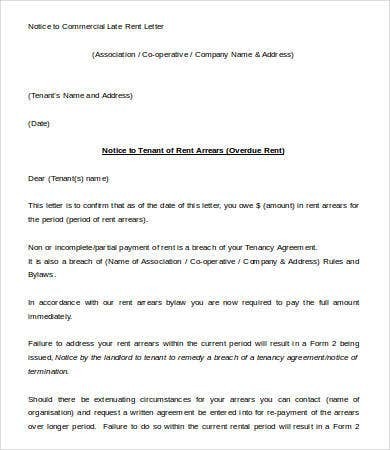 If after a week (at the most) has passed and you still haven’t received a response to your letter or a payment or (at the least) a promissory note (we have a compilation of promissory notes on site as well), you may send another late rent notice letter or a late rent notice that is written in a more serious tone. In this stage, you may want the letter to sound more urgent. 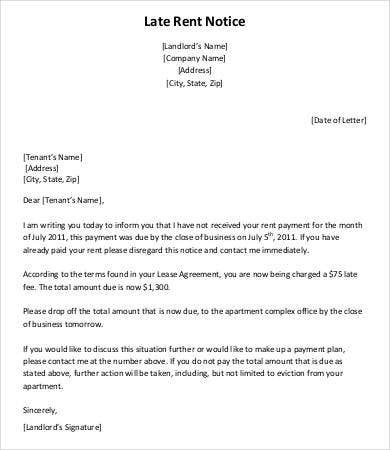 State the legal consequences that may be imposed should the tenant still refuse to respond to your letter or pay you. A week has passed, and still the tenant in question is still hiding under a hole somewhere and refuses to respond or pay. 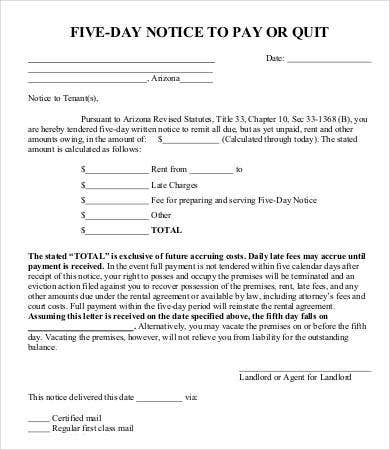 If the tardy payments are due to an unfortunate event, the tenant should take the initiative to inform the landlord and give him a promissory note. If it is just the case of deliberate truancy and tardiness, then you may wish to finally bring in the services of a legal counsel. 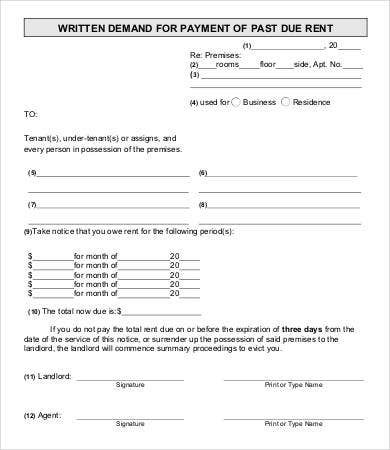 If you decide to evict (we have eviction letter templates on site) the tenant for a series of unreasonable late rent payments, then you’ll need a tenancy notice letter (examples of which are available from our tenancy notice templates reserve) to advertise the vacated space. dealing with your tenants, even those who are problematic and prove to be a thorn on your side. Don’t bang and kick on their door and shower them with cusswords about how irresponsible and frustrating they are. 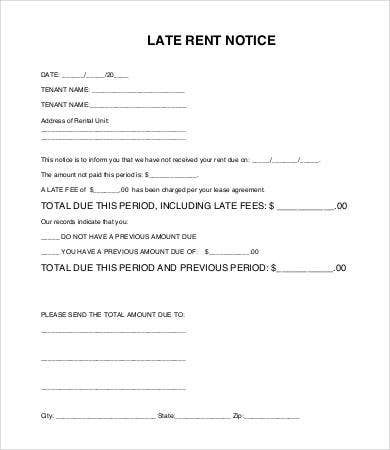 Treat them still with manners, so the way to go is to write them a proper late rent notice letter or, if you have no other choice but to send them away, an eviction notice. 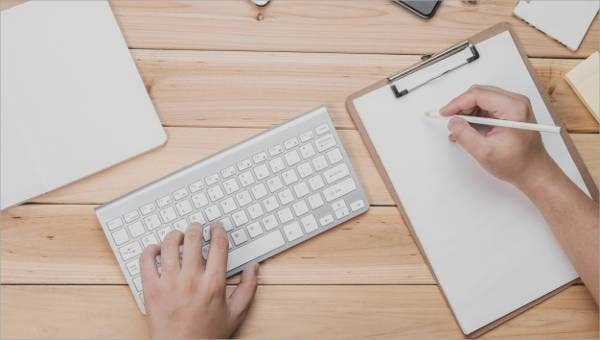 To save trouble and stress, just use one of our ready-made, free-to-download, and easy-to-modify late rent payment notice templates. 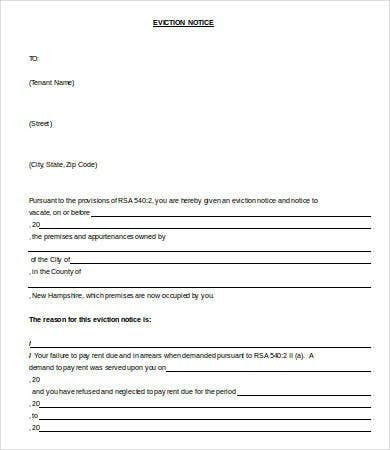 We also have a compilation of eviction notice templates for when you are backed to a corner and have no other recourse.